Your Grace is Sufficient: Surprise! It's the Epiphany! The Christ child emerges from hiding today. 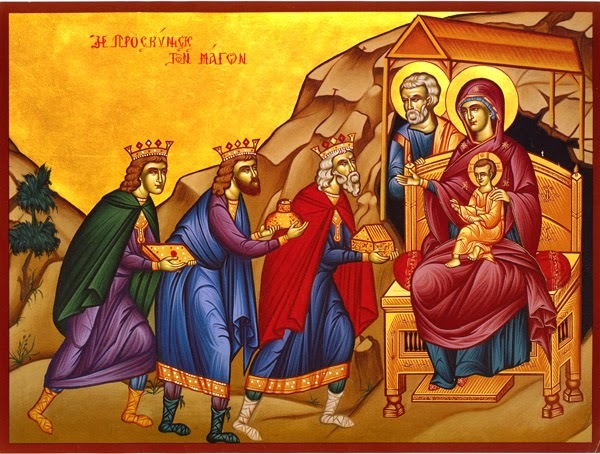 The word “epiphany” comes from the Greek epiphainen, a verb that means "to shine upon," "to manifest," or “to make known.” Thus, the feast of the Epiphany celebrates the many ways that Christ has made Himself known to the world, mainly the three events that manifested the mission and divinity of Christ: the visit of the Magi (Matthew 2:1-12), the baptism of Jesus (Mark 1:9-11), and the miracle at Cana (John 2:1-11). A key piece about the revelation of Epiphany is the suddenness of the experience. Epiphany is about the unexpected. It’s about the God who manifest Himself in a manner which takes us by surprise. Because our God is given to epiphanies, if we want to be attentive to Him then we must be ready for surprises. But for most people who have become all too familiar with the story of the magi travelling from the East in search for the Christ child, the narrative has lost its ability to surprise us. Our faith has become domesticated and routinised. Burning bushes become nothing more than common natural occurrence in the desert. We have grown attached to the predictable and the common. At the same time, we have grown to hate surprises. We have grown comfortable with the familiar. We expect life to always follow a pre-charted course, with no variation or unexpected turn, where everything happens as it suppose to happen. But the Epiphany of the Lord Jesus Christ is bound to upset everyone’s expectations. It would prove to be an exhilarating adventure complete with a series of bends, curves, detours, unexpected surprises and wonderful discoveries. The first surprise comes in the form of the choice of the protagonist – the Magi. They were not Jewish nor had they inherited the vast Jewish scriptural lore that was necessary to understand the significance of this event. They were the least likely to comprehend the mystery of the Godhead revealed in the Christ child. The other characters mentioned in the narrative, would certainly have the advantage – the scribes and priests who were experts in the Law. Yet, their agenda had been sullied by self-preservation in wanting to please a tyrant. They were more concerned with their own livelihood and lives than the salvation of Israel and all humanity. Even, Herod the Great, would have had a greater advantage over these foreign wise men. Being a man of power and influence, he had at his disposal the necessary resources to discover the truth of the Epiphany. But God’s Epiphany would prove to be a paradox – it would confound the wise and knowledgeable, it would humiliate the arrogant and powerful, and it would seek to favour those least likely to succeed in this quest. It is the disenfranchised, the disappointed, and the divided that discover the reign of God. 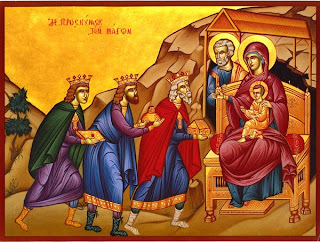 The second surprise is the locality of the revelation of the Epiphany. It is recorded that these wise men come from the Orient, the East. The reference to their being wise is also assumed to mean that they were astrologers and thus familiar with searching the stars of the heavens for meaning and direction in life. In the ancient world the East was regarded as the source of light. Literally, the sun rose in the east; it was also thought that true thought, wisdom, came also from the East. So the Magi would have collected the thoughts of the great thinkers of Asia. This background helps us to understand what the evangelist is trying to tell us, that these men of wisdom, who were accustomed to turning to the East, found to their surprise that the light of God led them westward to a most peculiar place, to a most peculiar situation. The third unexpected aspect of the Epiphany would take Herod the Great by surprise. He was a man who was used to power and control. He had grown accustomed to giving orders and would expect them to be carried out to the last detail. There was no room for surprises in his well-ordered world. After having interrogated the Wise Men, Herod had ordered them to go on their way in search of the child but they must return to give him a full report of their discovery. He feigned devotion to this Messianic child whom he promised to pay homage to. But his cunning plans and skilful manipulations will come to naught through intervention of God. An angel tells the Wise Men to take another route home, to avoid Herod, who wanted to kill the child they had found. Herod did not expect them to change their travel plans and route. This surprise will earn the Holy Family the necessary time to make their escape. In Epiphany, the magi take another road home. Eventually, all of us take routes that we had never expected to travel. When life forces us from the familiar highway onto an uncharted path, we are challenged to experience holiness as we travel on another road. The path is seldom easy, but we may discover unexpected possibilities for vocation, mission, and transformation. Given all these surprises, we may be tempted to think that God is a practical joker. On the contrary, God is a God of epiphanies, always wanting us to grow deeper, to journey further, and to explore broader horizons. He always wants us to look into the place that challenges us most and, if we choose to go there, have the faith that He is always there with us and for us. We can choose to live our Christian life in a bubble – a kind of spiritual geodesic dome where we can control our whole environment from the inside – or we can live and breathe God’s world as God made it with all its wonder and beauty, and – ‘yes’ – even the pain and uncertainty. If we are only faithful when things are the way we expect, if our faith only holds us up when things are going our way, then what kind of faith is that? It is the season of Epiphany, a time when God shows up in surprising places and pushes against the walls of our constructed realties concerning persons, directions and routes. God calls us to wake up to revelation that stretches, surprises, and transfigures. When God shows up somewhere everything is altered, including our sense of self and responsibility, and how we live with others. When God shows up God has a way of making us more willing to risk our comfort and our routine. God shows up as a baby born in a stable to poor devout parents and soon people of different ethnicities, cultures and social standing are flooding the stable to worship an infant, and perhaps to see one another in a different light for the first time. A prophet is preaching fire and brimstone when God shows up asking to be baptised like a common man, and soon people will have to wonder about what must change in their own lives if God has proven that nothing is too lowly for a servant of heart and a spirit of love. A wedding feast threatens to be marred when the wine jars run dry, but then God shows up and even our exhausted resources are replenished and the best emerges from our losses. Yes, Epiphany is full of wonderful and delightful surprises. To be a people of Epiphany means that we must be willing to be surprised as we follow where God leads. Christmas really is finished for another year. But the adventure of God's mystery and grace has only just begun. Let us be willing to keep on exploring how wide and long and high and deep is the love of Christ, a love that surpasses knowledge. I’m quite confident that there will be many surprises along the way.